Because lumberjacks ride motorcycles too. 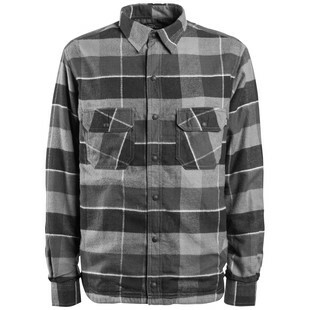 That is the driving force behind the Roland Sands Gorman Flannel Shirt (ok, not really, but let’s just go with it). Casual yet rugged, lightweight yet built to provide a bit of added defense, the Gorman allows riders to stay stylish, and not feel like they have completely foregone all safety on the bike. Built to be worn both on a motorcycle and off, the RSD Gorman Shirt is a flannel button down that takes it to the next level as it allows for the inclusion of armor at the shoulders, elbows, and back (sold separately). In true RSD fashion, the Gorman motorcycle shirt is also totally stylish! Additional features include a quilted body lining, center front zippered closure with snaps, and a snap down collar to eliminate annoying buffeting in the wind. Classic in every regard, the Gorman Flannel Shirt brings together everything that we dig about motorcycling and Roland Sands. So, whether you are chopping down trees or taking down miles on the chopper, you are set.